Popcorn Time was one of the most-discussed topics last month with contributors happy to chat and bathe in the publicity. Recently though, something has changed. Previously talkative developers have deleted their work, gone silent, disappeared, or all of the above. It's hard not to draw the obvious conclusion. The Popcorn Time phenomenon hardly needs an introduction but it’s safe to say this application really shook things up after its launch in March. In a nutshell, Popcorn Time delivered no new content whatsoever. What it did present was existing movies in an incredibly simple and elegant way, making it an extremely attractive proposition to file-sharing veterans and newcomers alike. But very quickly the honeymoon period was over. In mid-March the original developers said they would cease their operations. 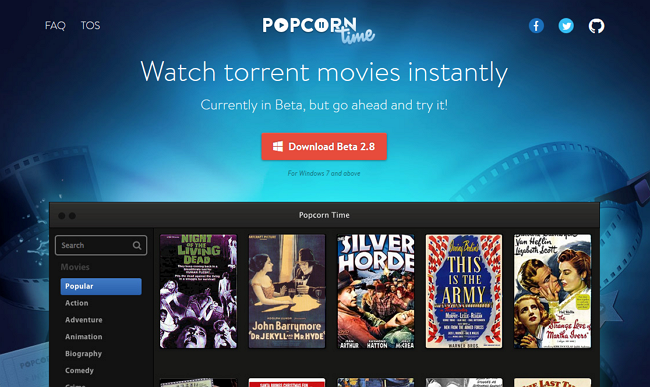 “Popcorn Time is shutting down today. Not because we ran out of energy, commitment, focus or allies. But because we need to move on with our lives,” they announced. It has proven impossible to get definitive proof as to who was behind the legal threats, since no one wants to talk either on or off the record. However, if one adds two and two (while calling on history) all fingers point to the owners of the content Popcorn Time exploits – Hollywood. Since it was open source, Popcorn Time had the strength to recover and it didn’t take long for numerous alternative forks of the popular software began to appear. The first main contender was created by a developer from YTS/YIFY, although it later transpired that it would be a lone project rather than one backed by the site. It continued for a while with several supporting contributors, including some who had worked on the original project. Then, after releasing a new version of the client in late March, things got strange. Suddenly the app was deleted from its Github repository and a previously very enthusiastic developer went completely silent. From being super-chatty, not a single email or instant message was returned. Something had definitely changed. People don’t flip like that in a matter of a few hours unless there has been some kind of event. Information subsequently received by TF that everything was absolutely fine and normal simply did not match reality. In the weeks that followed, TorrentFreak chatted with other developers, each working on their own version of the software. The main developer behind Popcorn-Time.tv told us that he’d created his site after the one detailed above had disappeared. “A few days ago..[..]..the other developer went missing, the main repository and its website were shutdown as well,” he explained. Then, just a few days after setting up to replace a mysteriously discontinued fork of Popcorn Time, this new developer also had a dramatic change of heart. 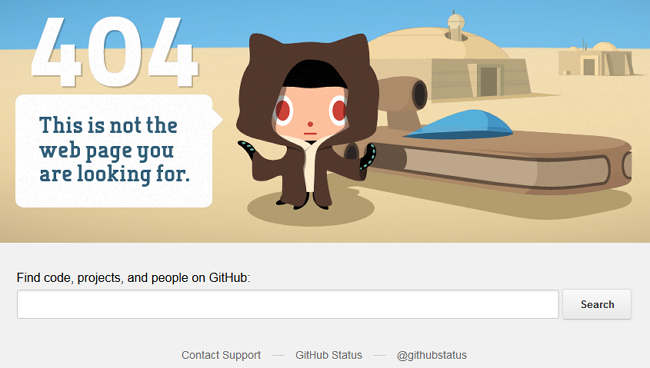 Suddenly his version of Popcorn Time also disappeared from Github. He followed the first guy and dropped off the radar. Efforts at contact failed. Emails from TorrentFreak went unanswered. Then, a day ago, there was a surprise reappearance in a discussion thread on Reddit. Somewhere in the middle of all this we were contacted by another developer of yet another fork of Popcorn Time. Just like the others, he approached us with much enthusiasm. Then, just a couple of days later, he too had gone, with rapid email exchanges being replaced by complete silence. We have no definite proof as to what has caused all of these developers to close down their work and refuse to talk, but the circumstances are suspicious to say the least. What they all had in common was their talent, enthusiasm, eloquence and a willingness to push their projects forward. They were all happy to talk too, then all of a sudden no one wanted to say anything. Why everything should change almost overnight may never be officially revealed, but if it walks like a duck…. c There are 140 comments. Add yours?